@2104FortWayne is a smoke & vapor free, 'not so' out of the way spot, that caters to a mature, sophisticated audience. Featuring, blues, jazz, acoustic, piano bar themed live music, along with stand up comedy, and spoken word. 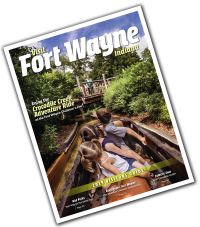 This intimate atmosphere with low lighting, highlights why @2104FortWayne the hottest "best kept off the beaten path secret" destination in Fort Wayne! Offering up a menu that includes, charcoal barbecue meat selections, an unmatched fish fry, and amazing drinks makes @2104FortWayne the perfect spot for all those seeking refuge from the modern day invasion of nuclear-powered jukebox sound systems.